Movin 2 years, 5 months ago. i can’t manage to upload my logo successfully, every time im uploading it, it dosent even show it to me in the preview and i don’t see it on my website. what might be my problem ? 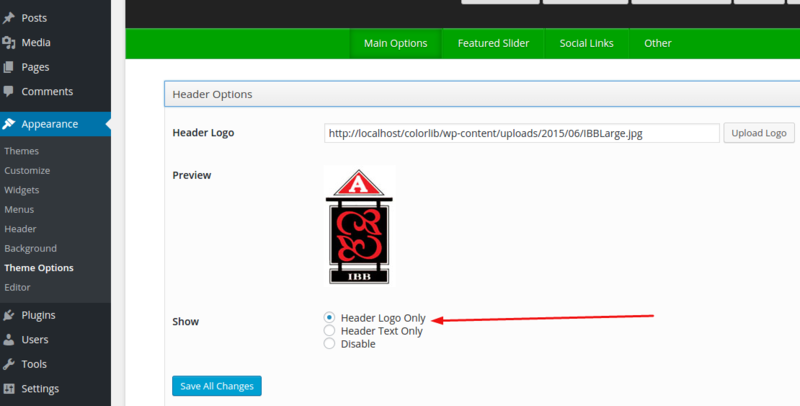 Please make sure you have selected the Header Logo option ‘Header Logo Only’ as shown in the attached screenshot. I have tested it on my test site using the logo that you have shared and it worked fine for me without any issue. ok, but now the text is gone, is there a way to keep the header text as well as the logo ? We have to develop custom code to display the header text as well as the logo. Try adding the following custom code in the functions.php file of your child theme. After using the above code, you have to set the Show Header Logo theme option to Disable in theme option which we have customized using the above code to display both text and logo. where exactly in functions.php do i need to add it ? You can add it anywhere in the functions.php file but it’s better to add it at the bottom of the file and make sure to add it in between the opening and closing PHP tags. Yes it’s possible to achieve it but for that you will have to develop more custom code as i have developed and shared the code previously. I knew it would happen. my website is showing blank page now..
i tried deleting travelify and its no help, any suggestions ?? Was your site working fine? What have you added/updated/deleted that caused this issue? Could you please share your site URL so that i can test it? You might already have a line for WP_DEBUG, so just make sure it’s set to true. after i inserted the code that you gave me, the site crashed. maybe give me your email so we’ll move to a more direct network ?? I have tested the shared code on my test site and it’s working fine without any issue. Have you added the shared code in the functions.php file of travelify theme or the child theme of travelify? As i have said you should add the shared custom code in the functions.php file of your child theme so that after updating the travelify theme the custom changes will not overwritten and lost. You might have faced the error message because incorrectly copying the shared code or didn’t add it in between the opening and closing PHP tags. After deleting the theme that contains the shared custom code then the site should work fine and i can see now it’s working fine zippori.com with default Twenty Fifteen theme. You can just try using fresh latest version of travelify theme and the attached travelify child theme that contains the shared custom code. You should activate the shared travelify child theme on your site. We only provide support through this support forum. i think my site just crashed when trying to insert the logo and header css. @fnptravel To help us keep support thread separates could you please create your own thread for your question here https://colorlib.com/wp/forums/forum/travelify-support/ instead of replying on others thread as it makes the thread messy and hard to read. The topic ‘Logo problem – I can’t manage to upload logo using Travelify theme’ is closed to new replies.